Living in the US and brought it home with a rather large step down transformer. I have been thinking about converting the machine to Australian power rather than continuing to run the transformer . Looking for someone that could perform these conversions. I’m in Melbourne so would be most convenient if it was someone local. Morning FB, welcome to Coffee Snobs. I suspect it would be cheaper to buy a good second hand 240 volt Silvia. Dimal and flatbattery like this. Take off the top cover (four screws) and take a close up pic of the switches and wiring, especially any visible lettering. Post it up here. Replace pump and heating element = not worth the expense. Boiler (or just element if it's V4 or newer), pump, solenoid (or just the coil if the body is the same between 110 and 240 versions), indicator neon, thermostats and switches if they don't have a 240V rating on them. Factoring in labour costs (say 2-2.5hr) the price is getting pretty high. You've pretty much got a brand new machine for half the price of the current model though. 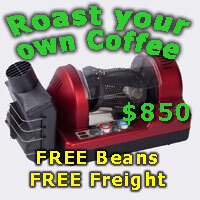 The Coffee Machinist is the go-to guy in Melbourne for repairs and modifications from all accounts. You can find his contact details at the bottom of the page in the sponsors list. Then sell the transformer to defray the cost. High capacity ones cost a bit.